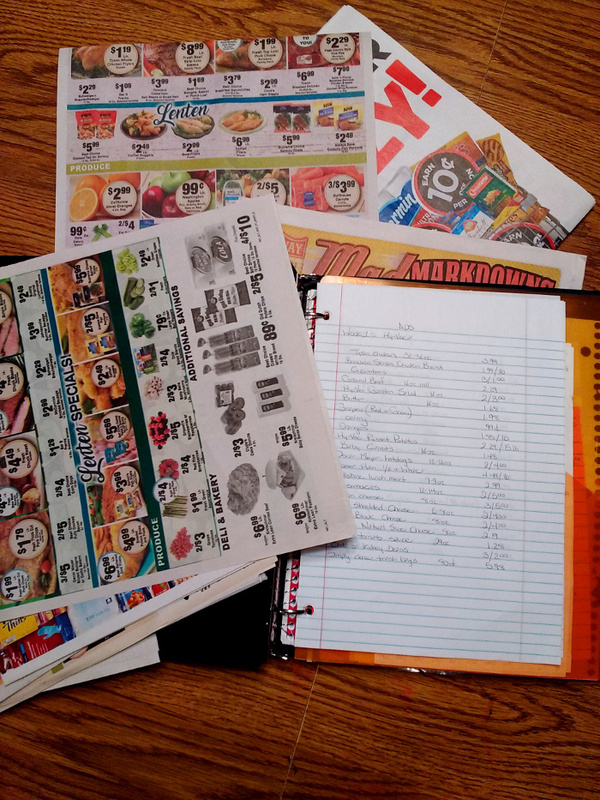 Want to save money on groceries, but don't know where to begin? Here are my secrets to saving money on those groceries, hopefully there are some ideas you can add to help you save. Remember every little bit helps and don't try to add all the changes at once, pick one or two to try one month and then add more the next. Its easier to add a little at a time rather than get overwhelmed at adding it all and then giving up, I know I've been there. So as I said start small. I'm going to go through my process, but I'll go in the order of how I added it over time. Seriously, this is so helpful. It really helps you stick to what you have on hand, along with knowing what you're going to eat saves money. Think about it, how many of you will have a night that you think I don't know what to cook, I'm not really in the mood to think or plan something, hey why don't we just go out? Yep, I've been there many times. Having something scheduled is so nice because you can see what you have planned, right away in the morning or even the night before and have time to set the meat to defrost in the fridge. Plus you can pre-plan around events. For example our Tuesday and Thursday nights are busy so I plan easy, quick meals those nights, because I know that if it's not easy and quick I'm going to want to do the ultimate easy and quick, eat out. Need help with how to do a monthly meal plan, stay tuned I'll be posting my how to for monthly planning. We get ads for the local grocery stores once a week. When I started staying at home, I had more time to go shopping for groceries and so I started shopping the ads to try to save money. I'll be honest, at first it seemed like we were spending more and we were. I had to find the balance between overstocking and stocking up. When something's on sale it's easy to stock up, but you don't need to over stock. You only need to stock up for what you need until the next sale. 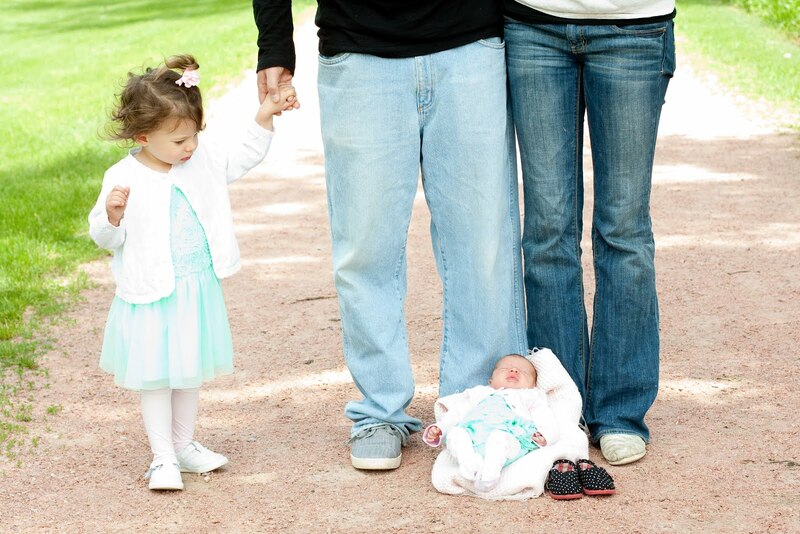 This brings me to the next step. This one is a little more complicated and I'm still working on mine. Most stores have a rotation of their sales. We've all seen it, there's Pinterest posts all over about the color of tags at Target, or the color of bread tags at bread stores. The same goes for grocery stores too. Now there are sales that don't really have a rotation, sometimes they need to just move some merchandise and so there's an extra sale; however, there are rotations. This step takes a little more time. Like I said we get the ads once a week. So I started logging each store's sale prices on items that we buy and mark which week it is. As I said I just started, so I only have a month's worth, but next month I plan to continue and highlight ones that repeat in the same week. Slowly I will start to see what items repeat and how often, then I can plan even more when I buy those items. Finally, put all these steps together. I started doing my grocery list a little different. 1st, I make my monthly food menu. Then I look at the 1st week's ads and find what's on sale and write them all down on my lists for each store. Then, I look for those extras I will need for this week. There's always something that isn't on sale, but we are low on or need for a recipe, usually there's not a lot, but there's at least a few items. Then I take it a step further, hopefully you can stay with me. 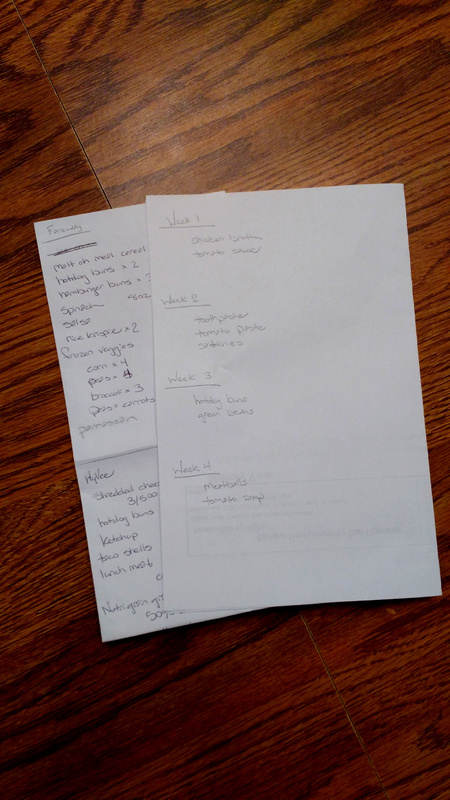 On a separate piece of paper, I write Week 2: and then list items I will need for that week that we don't have on hand, then I write Week 3: and list the items I will need for that week, and finally I do the same for week 4. So finally, looking at my ads and what I will need for the month, I see if there are sale prices on those items too. I continue to do that each week when the ads come out. Anything I wasn't able to get in the 1st week's ads for the rest of the month I keep checking for each week's ads. This way I know what I really need, and don't overstock or buy when I don't need it. Here's what my lists look like. The one on the left is what I'm planning on purchasing. The one on right is the list of items I don't have and will need in the different weeks. Sometimes I can get almost everything on sale and other months there's only a few things. For those items I use a lot, such as the tomato sauce and soup, if it is on sale when I need it I always buy a couple extra for the next time. Hopefully there's something in here that can help you when it comes to grocery shopping/meal planning. 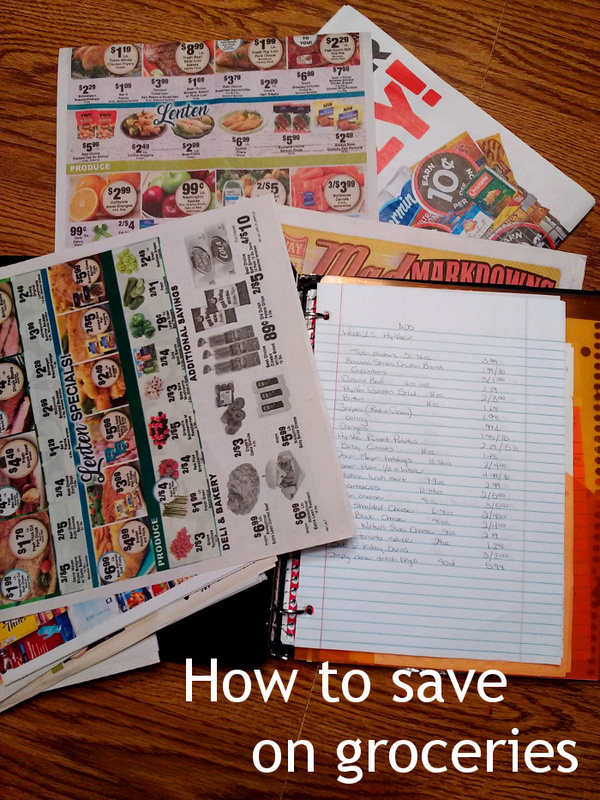 I'm always looking for ways to save money on groceries, what are some ways you save? Anyone do couponing? I haven't been able to really get into it that much, but I know it can really help too if done right.